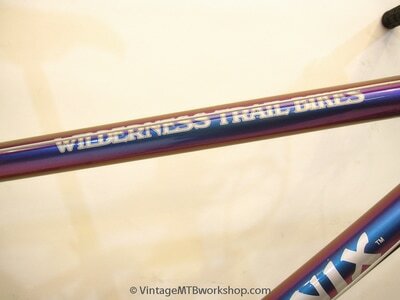 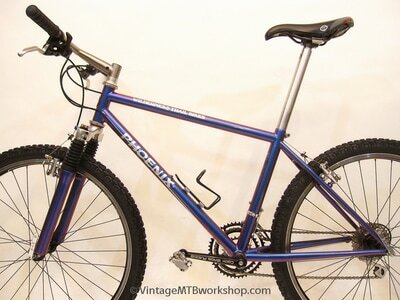 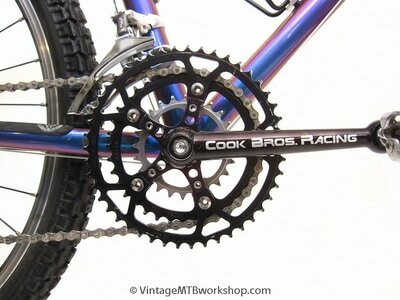 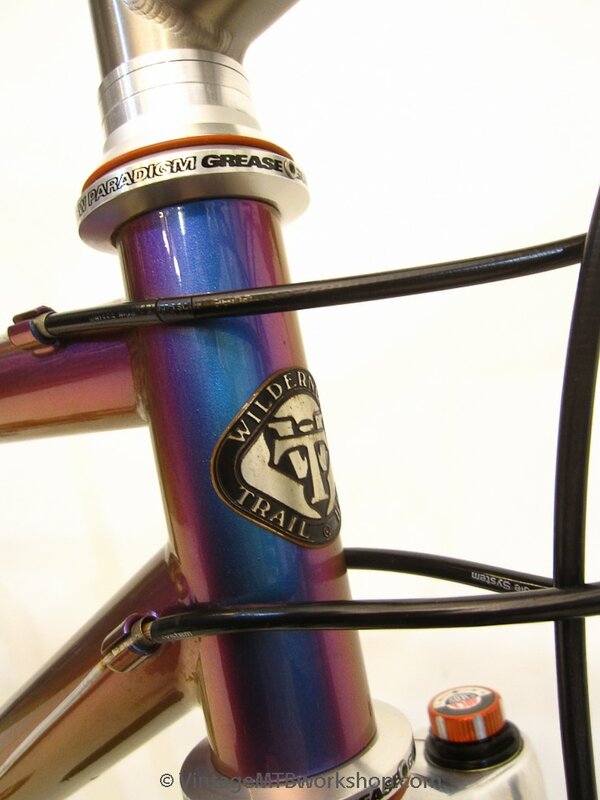 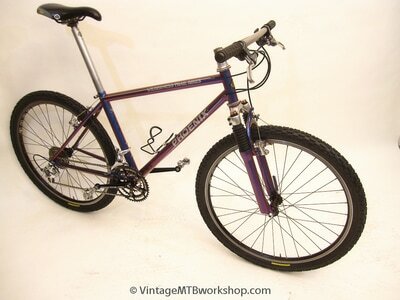 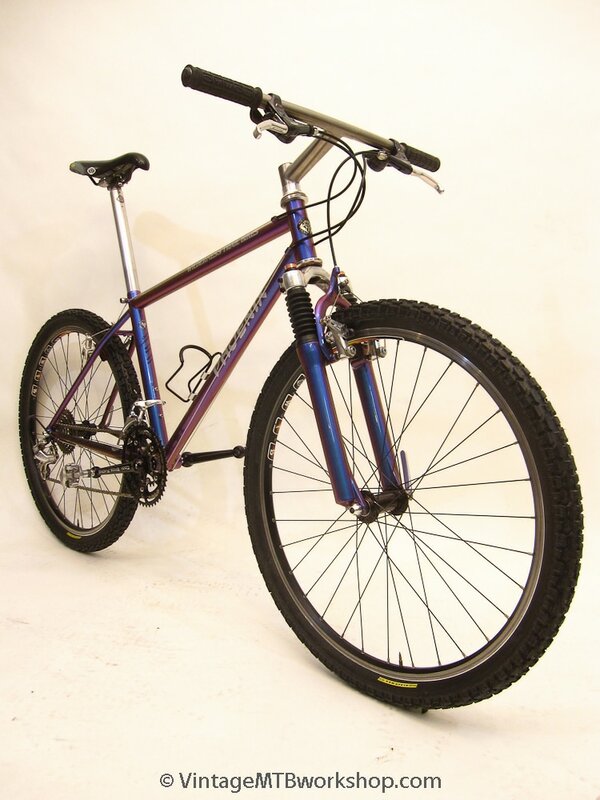 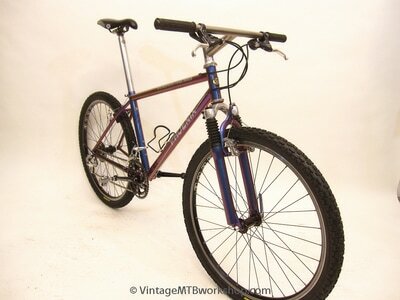 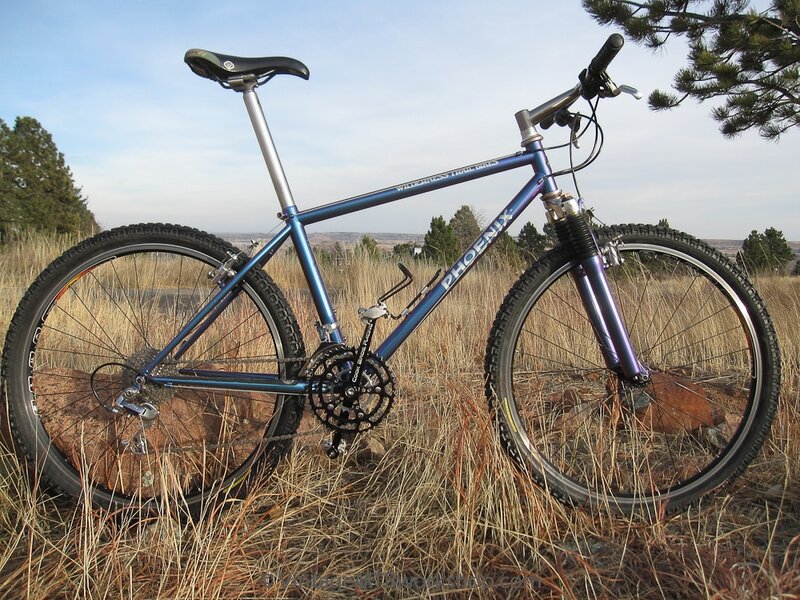 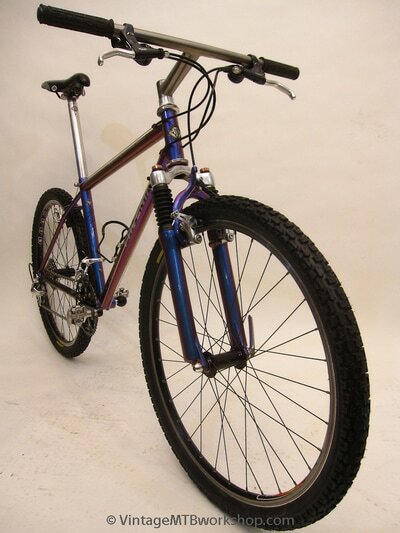 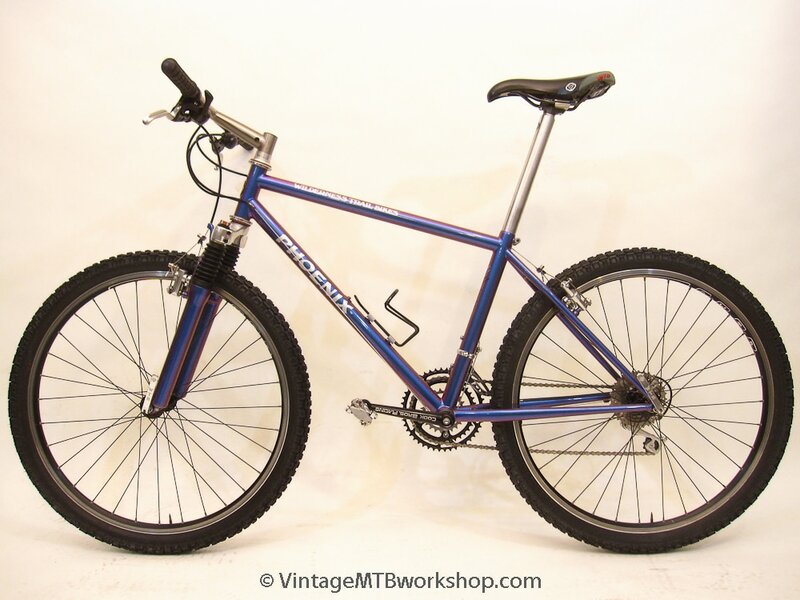 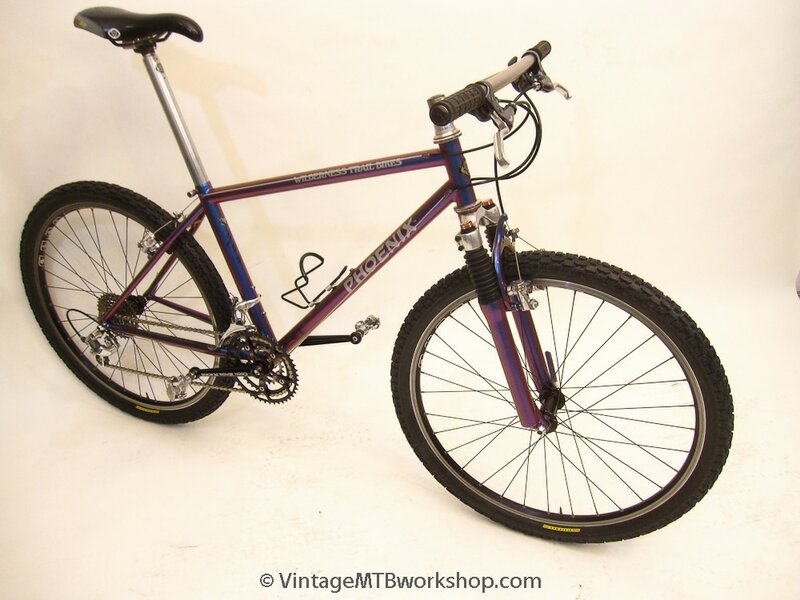 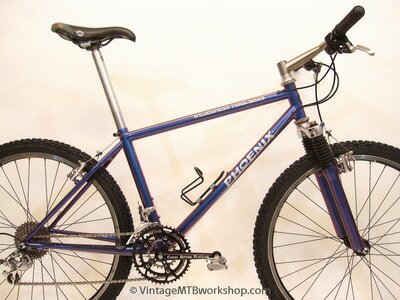 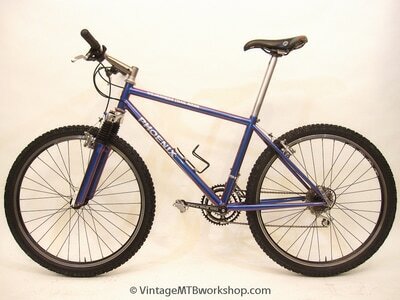 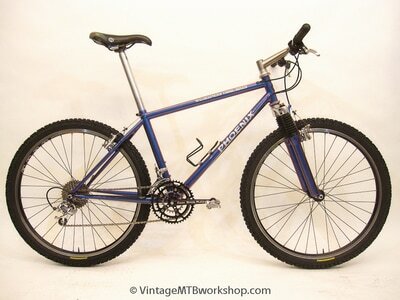 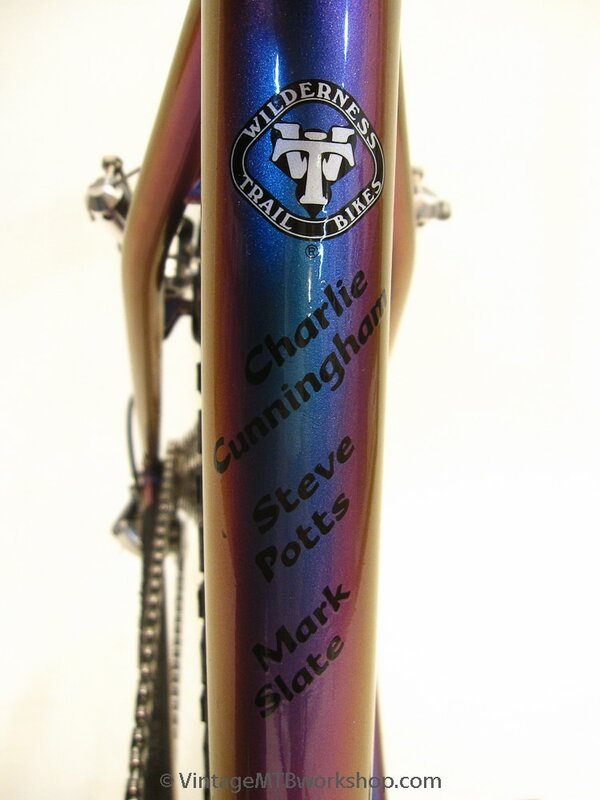 Considered by many to be one of the best-handling steel bikes, the Wilderness Trail Bikes Phoenix frames were constructed by Steve Potts at the home of WTB. 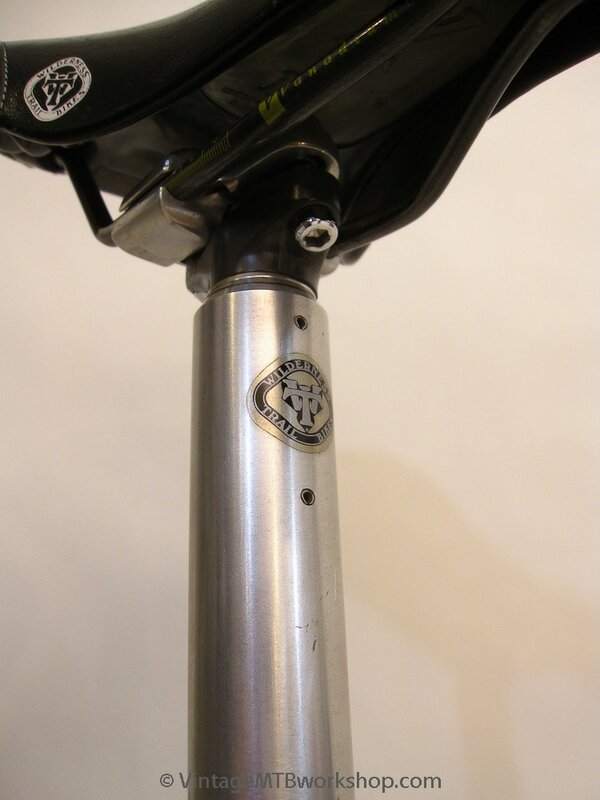 While many of the early Phoenix bikes were built with rigid Type II forks and one inch headsets, the bikes eventually got suspension corrected geometry and larger headsets like this bike. 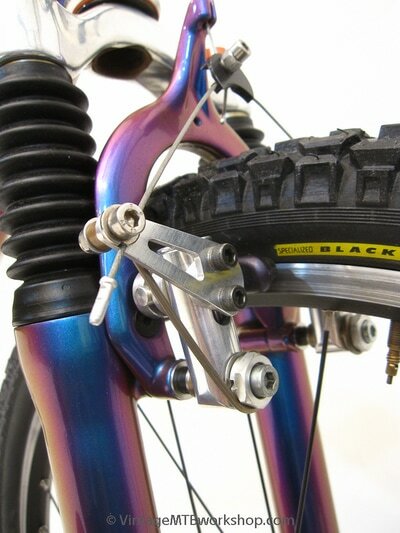 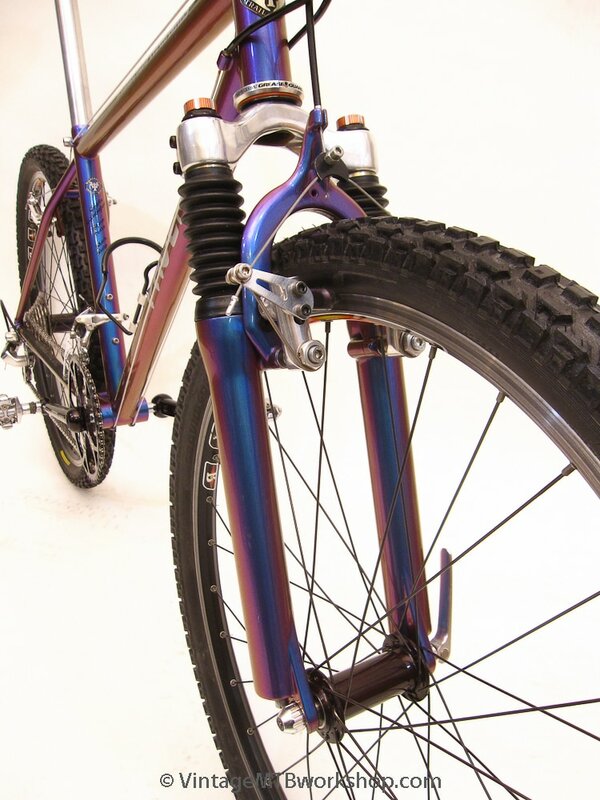 This bike received a custom paint job using automotive Shade Shifter paint, which presents a different shade of metallic purple depending on the viewing angle. 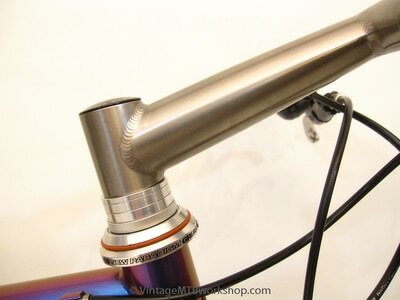 The Titus Titanium bar and stem combo gives the control department a clean look by eliminating several pinch bolts. 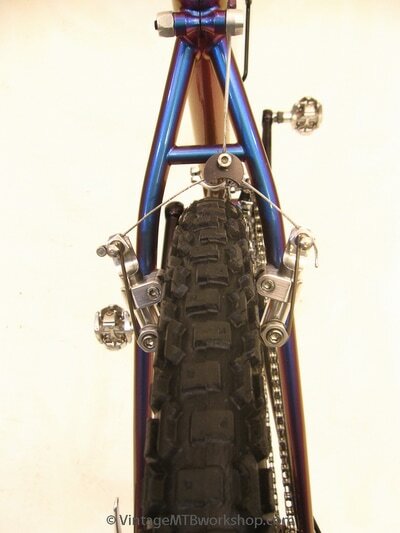 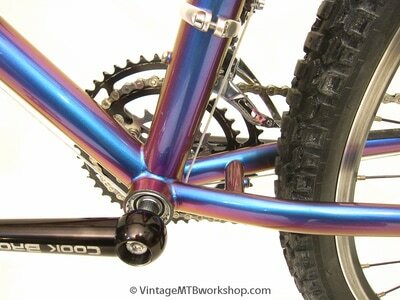 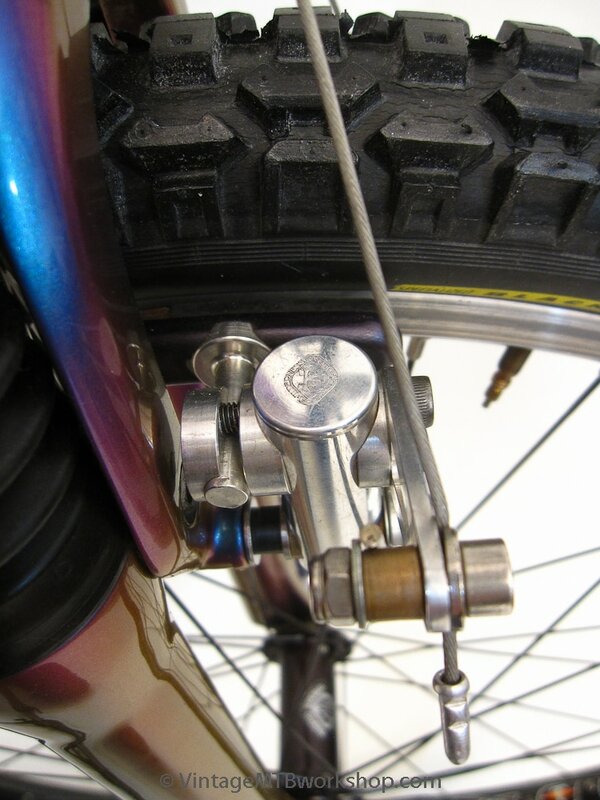 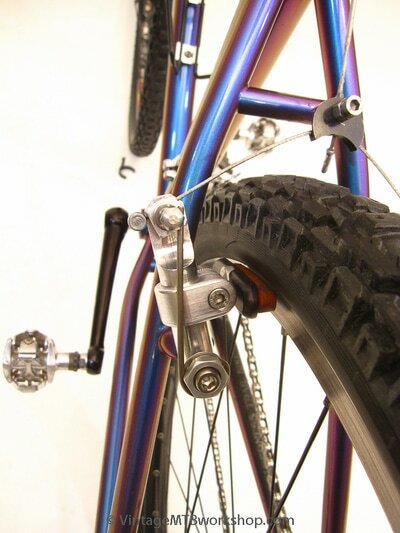 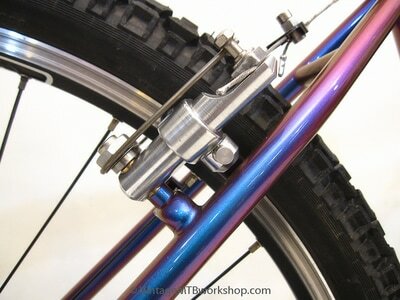 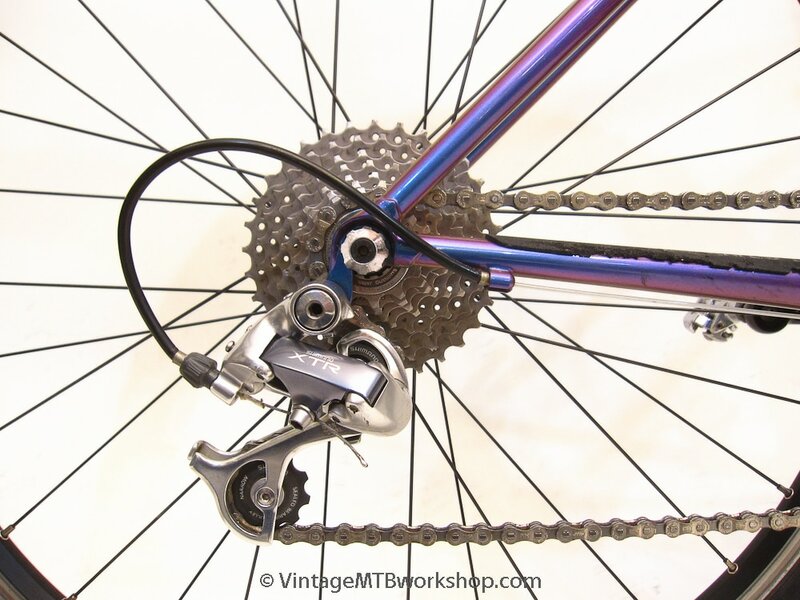 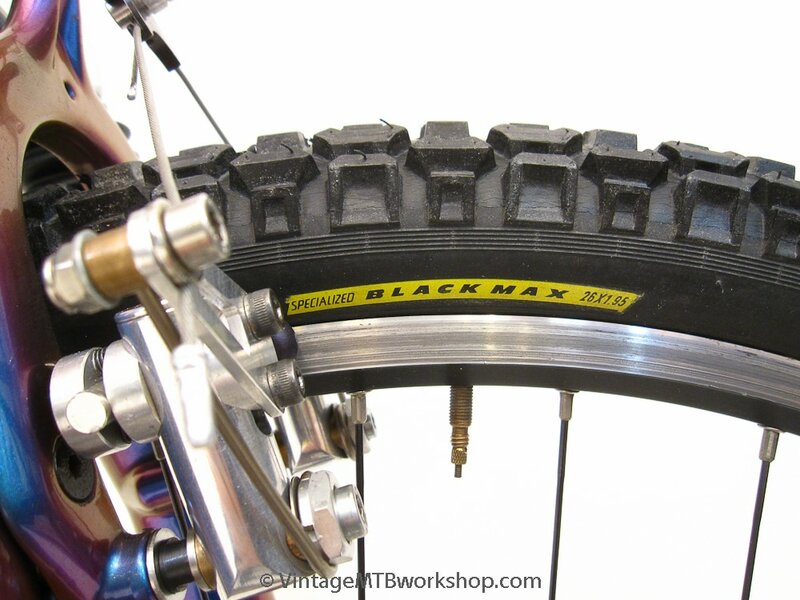 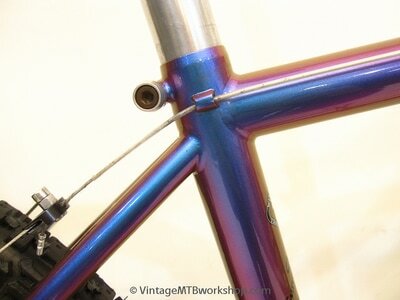 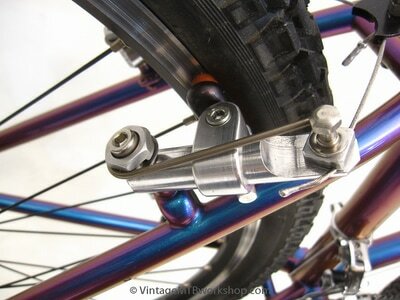 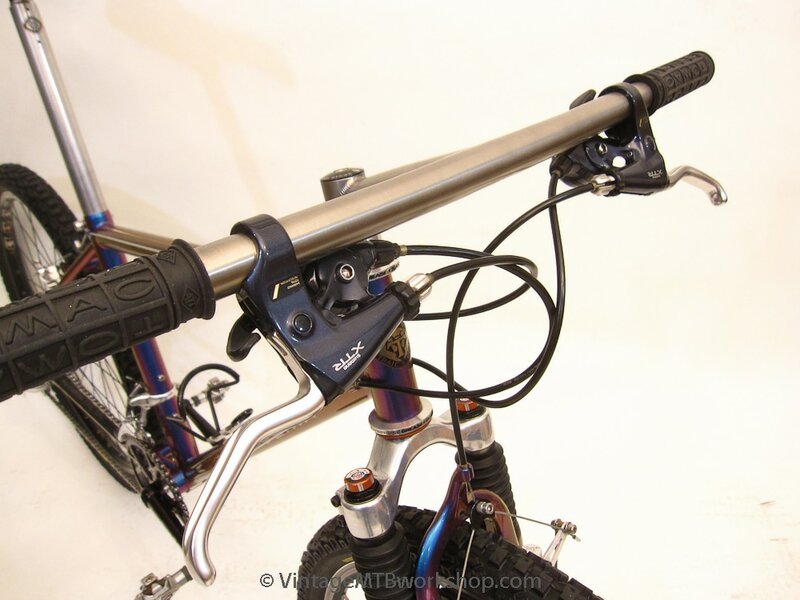 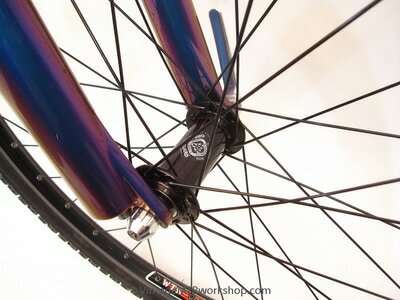 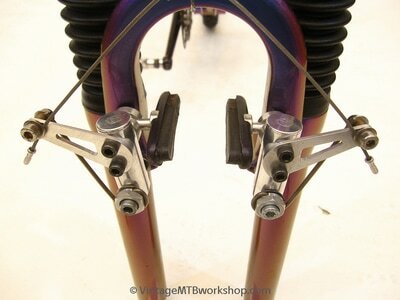 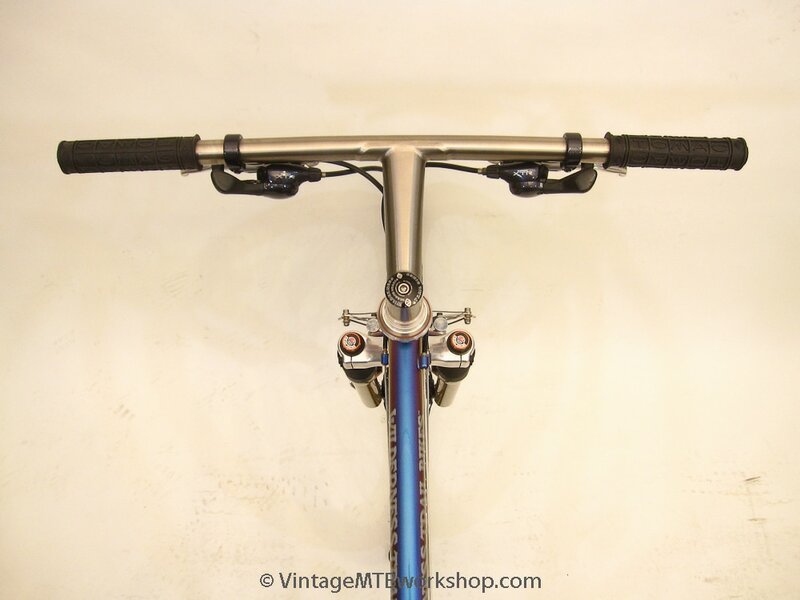 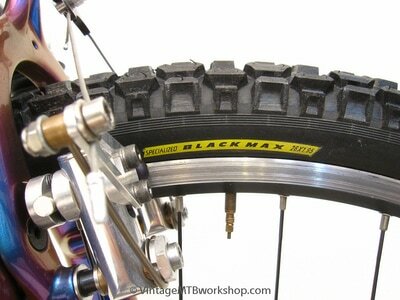 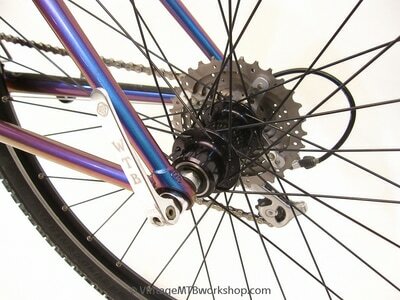 The bike also features prototype cantilever brakes that are likely the skilled work of Steve Potts. 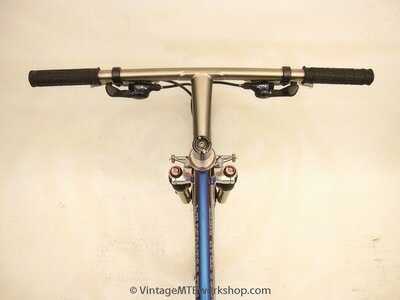 The rear is an early version of the low-profile WTB Speedmaster cantilever brake, whereas the front is an intricate, wide-profile, tubular design that never went into production.